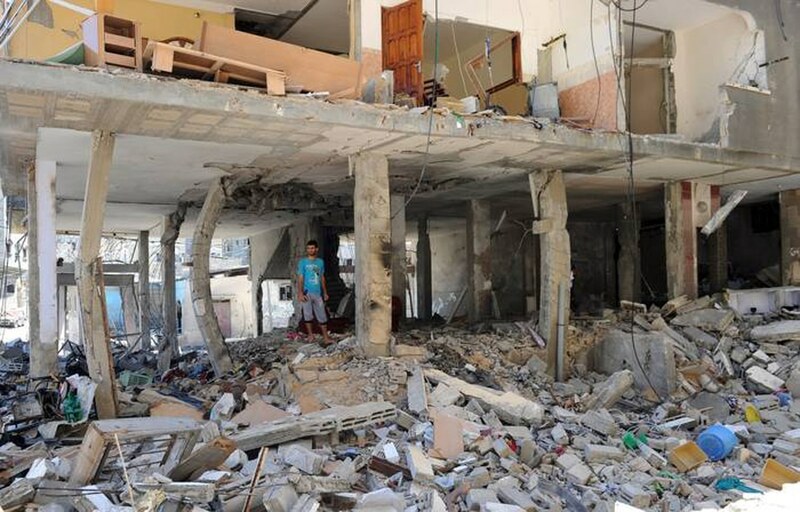 The grounds of public hospitals in Gaza have become home to dozens of families whose houses have been leveled by the Israeli artillery during Israel’s offensive in July-August 2014. Gaza schools, which were preparing for the upcoming academic year, have also been turned into crowded shelters for those who fled Israel’s invasion of their towns. Gaza’s hospitals are complaining due to running out of space because of the influx of wounded patients. Israeli air strikes have destroyed the Strip’s power and desalination plants, plunging entire towns in into darkness and leaving civilians without adequate drinking water. These are just a couple of examples of what Gaza civilians are going through because of the war Israel waged on Hamas under the name “Operation Protective Edge.” The Israeli government, headed by Benjamin Netanyahu, claimed that the operation was aimed at deterring Hamas, protecting Israelis from the rockets of the Palestinian resistance, and restoring calm and security in Israeli territories.